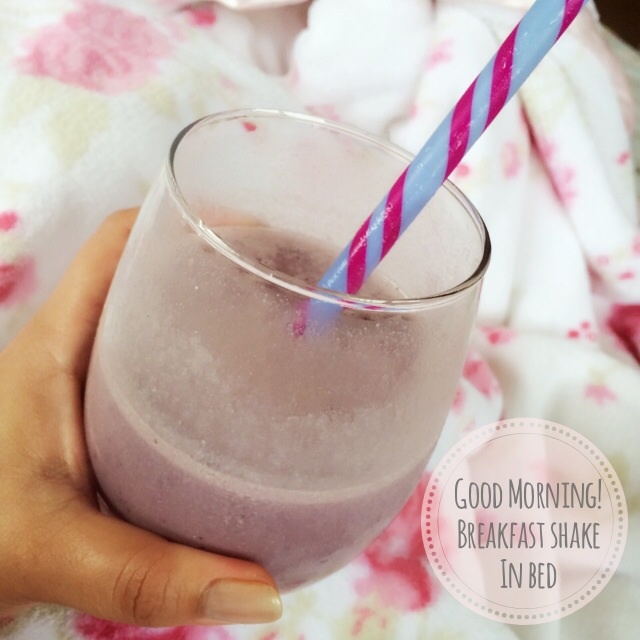 I’m having a shake in bed! Getting cozy and enjoying every minute of it! I always wake up early and I never enjoy staying in bed. Having two dogs makes it tough but today after making my shake and taking care of the woofers. I jumped back in and enjoyed my healthy Vanilla Yes Yoli Shake with Pomegranate, blueberries, Greek Yogurt, and Almond Milk. I absolutely love it! Yoli Yes shake is great because it’s non-GMO, stevia sweetened, organic, and has non whey protein. I’m taking baby steps to change my ways and shifting to organic when I can. One step at a time, right? Another step forward, some of my gal pals are planning to get together every Saturday morning to get our fitness on. I’ll keep you posted. Have a great day!